This course is for graduates of the course Fundamentals of Hypnosis or students transferring in from other schools with hypnosis training. 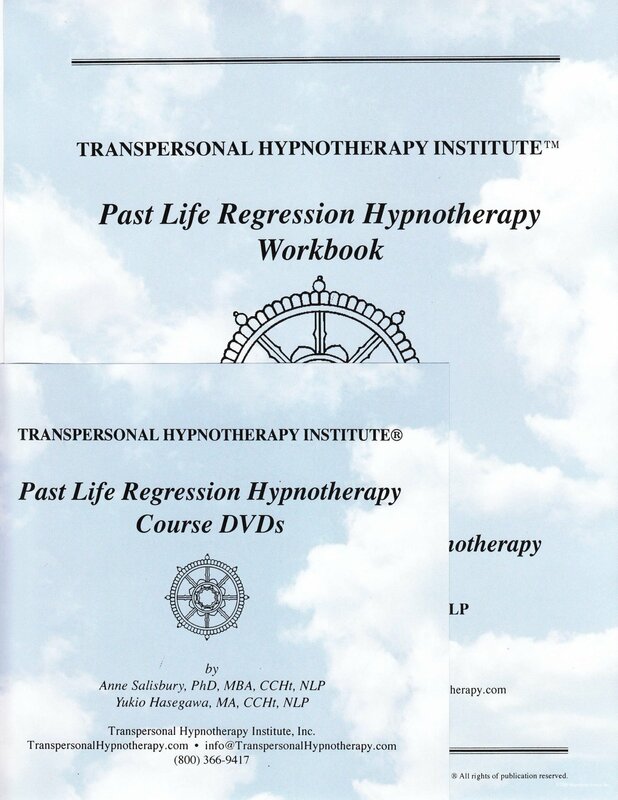 If yor are a graduate of the course Transpersonal Hypnotherapy, you already have some of this course, so enroll in Past Life Regression:Graduate Course instead. Transform your life and your clients’ with these profound methods. Assist clients in making amends with those they have hurt and those who have hurt them. Clear away lingering relationship problems, whether personal or professional. Connect with your creativity. These techniques are extremely effective, no matter how you interpret past lives (as real, metaphors, symbols and/or allegories). This course includes one lecture and one live demonstration session DVD from “Transpersonal Hypnotherapy” as well as two additional demonstration session DVDs. These DVDs gives you a full Past Life library: Healing Trauma through Reframing Past Life Incidents, Atoning for Overt Acts and Inspecting Past Life Contracts. 25 hours of demonstrations, exercises, readings and practical applications. Up to 8 hours of step-by-step how-to DVDs. Past Life Regression: Ways to Present Past Lives, Possible Clues, Approaches to Working with Past Life Issues, Reframing Past Life Incidents, Atoning for Overt Acts, Inspecting Contracts; Introduction to Transpersonal Journey Work: Transpersonal Journey for Guidance and Resources, Two-Way Communication, Retrieval Work.